Before we get into the rest of the HoloNet Links, let’s take a look at the latest Developer video. What do you think about the Legacy System? What is the one feature you find the best from what has been shown? Let us know below in the comment section. Hey everyone! James Ohlen, Game Director for Star Wars: The Old Republic, would like to solicit some feedback from the community on weekly basis. He’s going to be taking feedback directly via his Twitter account, but if you’re not on Twitter, we’re going to reproduce his question here and would love to get your feedback here too. Please limit your feedback to the question James wants discussed. Feel free to link to other threads and please keep your feedback constructive and on-topic! If you could make one change to PVP in SWTOR, what would you want it to be? 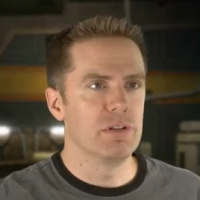 Remember, you can follow James on Twitter @JamesOhlen; you can follow our main account @SWTOR. During the Guild Summit, Georg Zoeller talked about the economy and also changes coming to Crew Skills in Patch 1.2. In the latest developer blog article, he goes in some very extensive details for each of the Crafting Professions, Reverse Engineering and briefly on a few changes to Gathering professions. At the summit, he specifically said they were working to make every profession viable for end-game. I have to say, that although this is just some brief suggestions of the direction they are taking the professions, it looks very promising. For instance, Artifice will be the first profession to have specific PVP crafting by getting drops in PVP for schematics to craft permanent expertise bonuses…the only profession that will be able to do that in 1.2 patch. Cybertechs will be able to sell their crafted speeders! The whole section about the changes on Reverse Engineering is awesome. If you have not read the crafting article, I strongly urge you to do so. What are you most excited or have concerns about with the Patch 1.2 changes to Crew Skills? Please let us know in the comment section below. Have you been out of town or not able to get to the computer to check the dev note section in the forums? Bioware has collected the past dev notes from March 16th through March the 20th in a convenient summary form with plenty of links to the threads. The Dev Tracker Summary will give you the opportunity to catch up in no time at all. Another week has flown right by, and we are moving ever closer to Patch 1.2. This week CRR had your favorite weekly articles and a special guest on our podcast – Scott John from the podcast “The Instance.” It was another great show as Carla, Deirdre and Scott got to discuss the Legacy system and exactly what they would do if a rodeo clown would drink your beer and grabbed for your cheeseburger??!! You just never know what will be discussed on this site and the unexpected is a good thing 🙂 Don’t forget to leave our authors your comments and suggestions in the article comment thread. 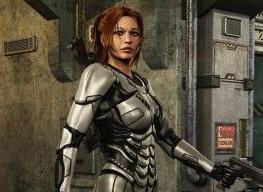 Mandalorian Girl, Natasha Morea, is back with the next part of her fan fiction story. She is up to part 13 of her Dantooine saga. This is another short, but well written look into the tale of a woman learning to trust the Force, after being trained and raised only to know the ways of Mandalorian culture and tactics. She also is learning to trust in another person, Aiden. If you have not read any parts of Natasha’s story, I think you will find it to be an excellent read. Below is a small excerpt from part 13. That is it for this week’s HoloNet Links. 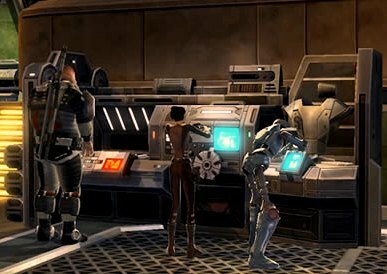 Is there a particular link, story, video, or anything related SWTOR you would like us to highlight? If so please send them to us here at Corellian Run Radio and it might just be included in a future article. You can email me at corellianrun@gmail.com, or you can leave link suggestions in the comments below, or in the Facebook group. Thanks and see you all next week!